Are you a student seeking for admission and finding it difficult or doesn't even know how to create a Jamb Profile. 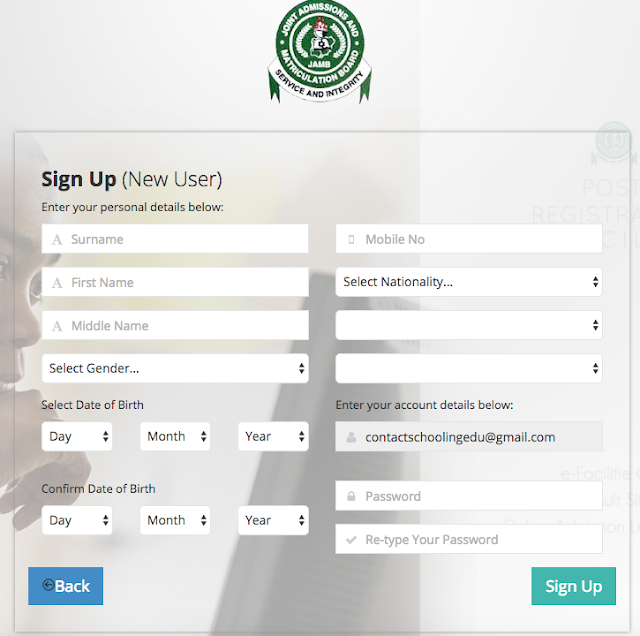 So, if you are one of such candidates, then you are in luck as we have done the hard work and will provide you the guide concerning the JAMB 2019/2020 Profile Creation. The Joint Admissions and Matriculation Board known as JAMB has disclosed January 10th 2019 as the registration date and March 16th 2019 as the exam date of the Jamb 2019/2020. So you need to create a Jamb profile right now if you don't have. Creating a Jamb profile is not as difficult as you see it. You would need the profile to complete your registration, check your result and admission status So follow the steps below carefully to create one. Make sure you do this on a computer and if you are to use your mobile phone don't use opera mini. -> Sign up with an active/valid e-mail account as all important information will be sent to the mail. -> Fill all the required spaces as seen in the photo above. 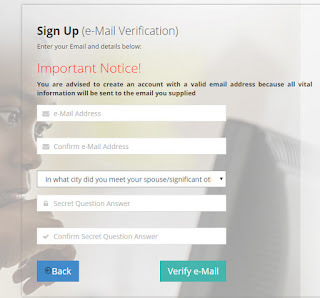 -> Enter your e-mail address, choose a secret question and answer. 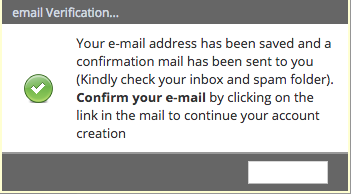 -> Then click on Verify e-mail. 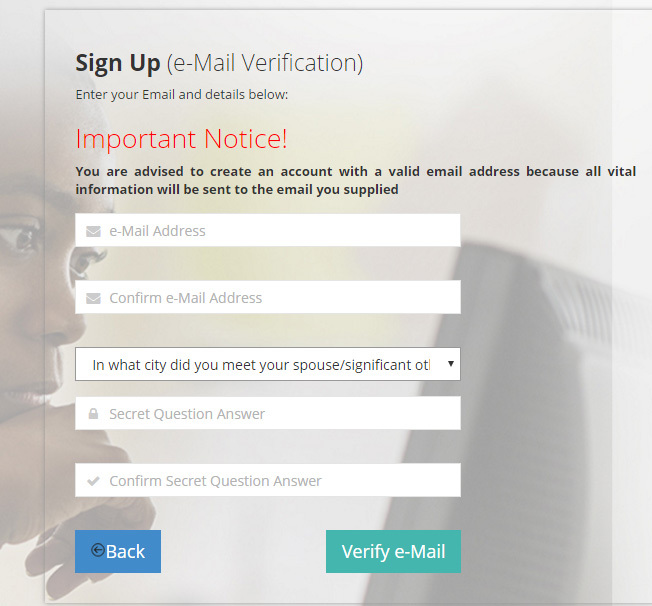 Wait till you receive an e-mail address confirmation from Jamb (check Spam folder if you can find it). Fill all Bio-data and Personal information as provided by the form. e.g Surname, First name, Middle name, Phone number, Date of Birth, State of Origin, Nationality. etc. Make sure all information required are fill with the most accurate answer as possible, this is very important. Click on Sign Up. a message should says "Your Account Creation Was Successful"
Now Proceed to Login to see your Jamb Profile. Send your SurName FirstName MiddleName as an sms to 55019. To update or change your name(s) send Correct SurName FirstName MiddleName as an sms to 55019. Note: You can only correct Name(s) if you haven't used the confirmation code to purchase UTME/DE Pin. This is how to create a Jamb profile. Now proceed to a bank and pay for Jamb - a sum of N5,500 is required for this. The bank gives you a PIN number after payment, visit the nearest CBT centre afterwards and pay a sum of N700 to an account which will be given to you there. After you must have done all these, go back to the CBT centre with the PIN number given to you earlier from the bank after payment with the teller issued to you for the N700 to complete your registration. Good luck!!! Wish you all success. Stay glued to this Blog as we will keep you Updated. You can also join Our Telegram Group or Channel for Fast Updates. 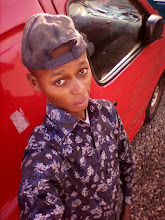 Toheeb Jibola as a Blogger has always been passionate about Technology, Tutorials and Free Browsing as well as writing right from high school. Having this blog gave him the avenue to bring the goodness of technology to everyone. Own A Blog Like This With Just ₦8,000, and Start Earning Money Online. Hurry, Get Started Here Now!